While those who have knowledge and experience in accessing the spiritual planes and communicating with the Beings of Light are obligated to help others learn to do the same, it is important that they do that teaching correctly. The use of certain visual symbols, such as the cross, help to raise one’s vibrations making it easier for that person to communicate with those beings that exist at very high vibration levels. But using the wrong symbols will have little benefit and may even be counter-productive. The same with sound. While certain sounds, and especially a series of sounds, can help raise our vibration frequencies, other sounds will not have the same effect. Even the correct sounds played in the wrong sequence will not have the desired effect. Scents are another tool that can aid in spiritual growth if you use the correct scents, but not if you use the wrong ones (people who have had real encounters with angels, or even very saintly beings often report that they gave off a pleasant scent like some exotic tropical flowers). The use of crystals is another area where it is important to know what you are doing. A number of factors is important in choosing the right crystals to aid you in your quest for enlightenment: shape, color, purity, and history all can effect the value of a crystal. If your strongest energy centers are the red and orange, then green, blue, and purple crystals will be of the most aid. 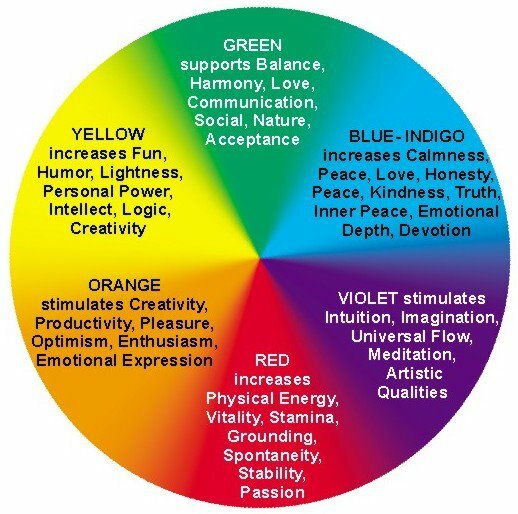 Conversely, if blue and violet are your strongest color centers, you may be best aided by red, brown, or orange crystals to help keep you grounded. All of this knowledge is something available when you work with a valid teacher rather than some guy who thinks the spiritual development fad is a good way to make a quick buck so he throws together some program without any real understanding of what he is doing.